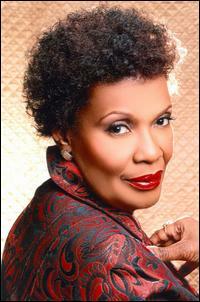 All of her wonderful music aside, the first emotions that I get from Margie Joseph are actually anger and frustration! I am angry that the record companies she was signed to never gave her the kind of promotion she deserved, and as a result of that denied a lot of people the pleasure of hearing her voice. I also feel frustrated (much in the same way Margie herself must have felt) that because of the lacking promotion and way too few hit records, she never made as many albums as such a talented singer should have. Margie is a truly talented lady, with an absolutely stunning voice. During the last 45 years she has recorded some really great albums, and it’s a great, big pity that way too few people has had the opprtunity to get to listen to her. My feature on Soul Music’s unsung heroine hopefully will give her some attention…. Margaret Marie “Margie” was born in Mississippi on August 19 1950, and like dozens of other girls she sang in her church choir when she was young. She enrolled at the Dillard University in New Orleans, studying speech and drama, and doing a little singing on the side. She was talented enough to be able to make some demos at the famed Muscle Shoals studios, which led to the recording of her first single, “Why Does A Man Have To Lie” in 1967. This of course, should have been the start of her career, but it turned out to be her first streak of bad luck. No sooner had she stepped out of the studio after recording, when the Okeh label went out of business and her debut single sank without a trace. 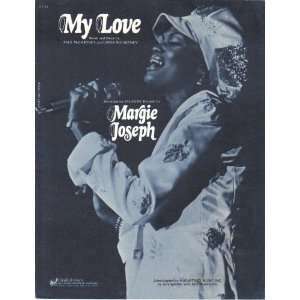 She was then signed to the Volt label in 1969, and that label knew how to handle a talented soulful singer like Margie. She got off to a great start when her first single for them, “One More Chance” proved to be quite popular (and is now regarded as a Northern Soul favorite!) and her next single, “Your Sweet Lovin’” gave her her first chart placing, reaching no. 46 on the R’n’B Charts. Her next single was a stunning remake of the Supremes’ “Stop! In The Name Of Love” – and that one went into the top 40. Her debut album from 1971, and yes – she DID make an impression! 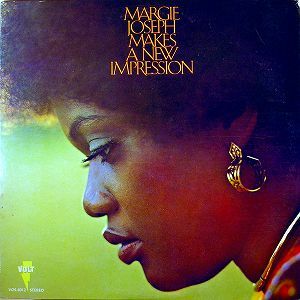 The first of her 11 solo albums, “Margie Makes A New Impression” came out 1971. The opening is really a stunner; Margie combines the spoken monolgue “Women Talk” while sliding into her extended version of “Stop! In The Name Of Love” – and thus creating 11 minutes of pure soul music drama. Other stand-out tracks are the sultry “Punish Me” and the bright and bouncy “Medicine Bend” which in spite of the cheery arrangement tells a rather sad story. Also included is the totally stunning ballad “Make Me Believe You’ll Stay” which just might be the best song she ever recorded! She quickly followed with another album, “Phase II” in 1972. It includes another Supremes cover; her drawn-out, sensual reading of “My World Is Empty Without You” as well as another great “tell-it-like-it-is” song called “That Other Woman Got My Man And Gone“. Then more bad luck was coming her way – the Volt label folded its wings…. 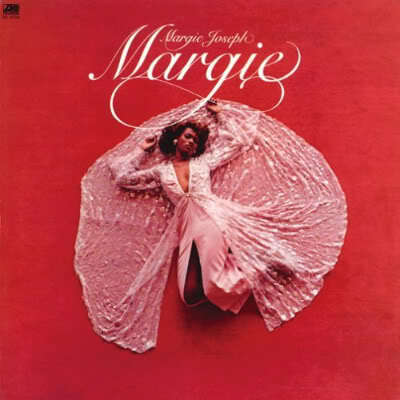 Margie made 3 great albums for Atlantic: “Margie Joseph” (1973) – it includes fabulous versions of Al Green’s “Let’s Stay Together” and a soulful version of Dolly Parton’s “Touch Your Woman“. “Sweet Surrender” (1974) includes the sexiest piece of early 1970s soul pop ever made, the opening track “Come Lay Some Lovin’ On Me” (no. 32) as well as her fantastic interpretation of Paul Mc Cartney’s “My Love” (her biggest hit, no. 10). 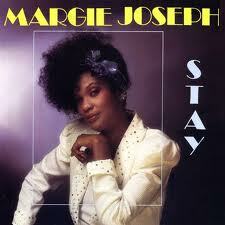 She followed with “Margie” (1975), containing more great songs like “Stay Still“, “Words (Are Impossible)” (no. 27), “I Can’t Move No Mountains” and “The Same Love That Made Me Laugh“. She also teamed up with label mates Blue Magic for a great duet, “What’s Come Over Me” (no. 11) and also appeared with them on a live album. Then it was time for yet another label switch. Margie was lured back into recording again, in late 1982. She went through a stylistical change, turning away from her trademark soul/pop and aiming straight for the dance floor. 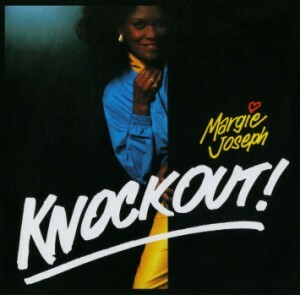 The single “Knockout!” proved to be quite popular (no. 12), and she made an album of the same name for HCRC label. Filled with synth heavy disco, the album is none the less enjoyable – as is seems Margie took to dance music as if to the genre born. Another track that found favor with club goers was the infectious “Moove To The Groove” (not a misprint!) The enitire album quickly went out of print, but was re-released on CD for the first time in 2010. 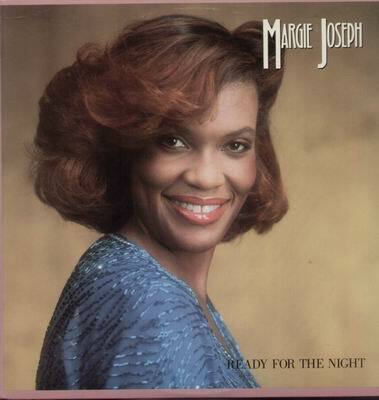 She continued doing dance music also on her next album, “Ready For The Night” (1984) – this time with production duties handled by Narada Michael Walden, a match made in heaven! This was her last album for the Atlantic label – and a marvellous one it is. The title song provided her with a small hit (no. 69), and the track “I Wants Mo’ Stuff” also had great hit potential. Margie herself has voiced that the track “Big Strong Man” is the worst she ever recorded, but I can’t see why. Her personal favorite on the album seems to be “Adonai“. The album as it is should have had every possibilty to become a big success – but it was again not to be… This proved to be the last time Margie recorded for a major label. 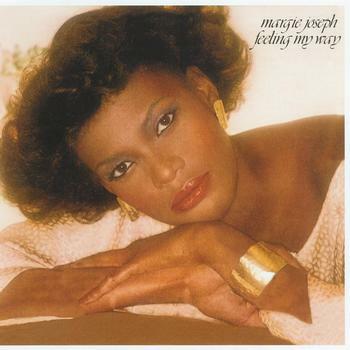 Margie went back to teaching once more, but she resurfaced on the music scene in 1988 – cutting the album “Stay” for the Ichiban label. The title track attracted a lot of listeners, but was only a minor hit. The albums other potential hit song is “Cinnamon Rosy Cadillac“. The album was never released on CD, just the vinyl and cassette format – it is the most obscure of all her releases – but still worth searching out if you come across it somewhere! After 20 years of making outstanding records and still being considered a “second league singer”, Margie finally gave up the music industry altogether, and started doing humanitarian work. And who could blame her? You do your very best for a number of years, fans all over the world love it – yet nothing comes back to you in the form of hits, awards or big sales – you don’t even get the right kind of promotion. ANY person would give up! “Stay” (1988), the last in a long line of badly promoted albums…. As if being unlucky with her musical career wasn’t enough – her personal life was also turned upside down in August 2005, when the hurricane Katrina hit New Orleans. Margie and her husband lost everything they owned, including all the mementos from her years as a singer. She escaped the house in just the clothes she wore, grabbing her handbag before the entire area where she lived was wiped out by the flood! 2006 found her release a gospel CD, “Latter Rain“, but she also admitted that although she had found solace in her Christian faith, she had lost her zeal for singing and performing and was concentrating on moving into a new home and starting a new existence. In 2008 the reissue label Collectors Choice made all her original albums 1973-82 available on CD, and a few years later the five 1973-78 albums were put out as a budget priced box set. Earlier on her two albums for Volt had been turned into a 2 on 1 CD – which means that most of her recorded legacy is easily accessible for everyone with an interest! Despite her lack of mainstream success, Margie is a highly esteemed singer whose voice stand up against any competition – she has a marvellous, flexible voice with a unique sound all her own. I sincerely hope that I’ve raised your curiosity if you never heard of her – this is one great singer who should be discovered by a much wider audience! Unfairly treated in the music industry. What ever happen to her unreleased album with wansel ?.ALWAYS LOVE HER VOICE. Hi Mark! Thanks for writing. Her album with Wansel is probably in the can somewhere, and we can only hope that somebody will release it someday!